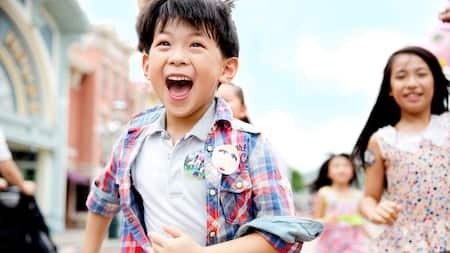 There’s no better place to create lasting memories with your little ones, than Hong Kong Disneyland. 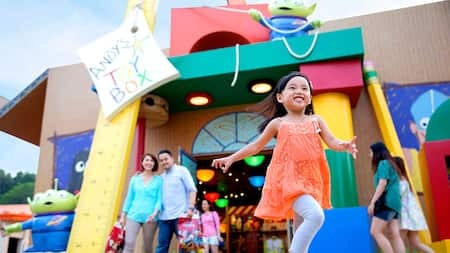 Along with the host of magical attractions and activities for the whole family, you’ll find a team of Cast Members dedicated to providing all the care and assistance you need to relax and enjoy every minute. As the spectacular show begins, the giant enchanted book comes to life and treats your family to an enchanting tale featuring all of your favorite Disney characters. 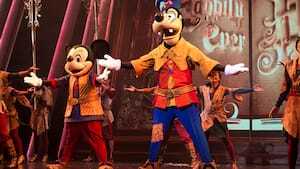 This magical production hosted by Mickey, Olaf and Goofy, never fails to get everyone laughing, singing and believing that “Happily Ever After” really can come true. 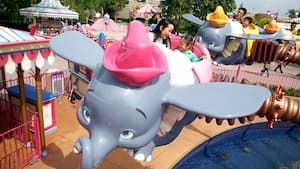 Dumbo is about to take flight. All aboard! And take off into the air with your little baby for the first time above Fantasyland. During the aerial adventure, you will be invited to view the Park with a totally different bird’s-eye angle together with your family. Take your little one by the hand and join them on a journey of discovery. 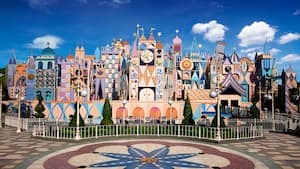 Set sail on a colorful world tour together to meet friendly faces from every continent as you all sing along the all-time Disney favorite “it’s a small world”. Learn how to draw your favorite Disney character from the very artists who brought them to life. Hold your magic pen and follow the simple step-by-step instructions of your friendly instructors to create your own Disney work of art. 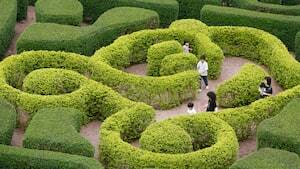 Then take your newfound skill and inspiration as well as your masterpiece home with you. All aboard the nostalgia express! Departing from Main Street Station, take your little ones on an unforgettable journey down memory lane. 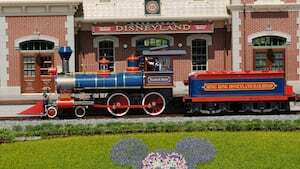 Be transported by the huffs and puffs of the vintage steam engine as you take in the scenery of the Park on the Hong Kong Disneyland Railroad. Explore the enchanted Fairy Tale Forest and discover the magical storybooks with your little ones. 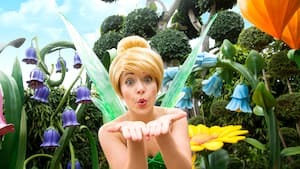 Look out for the 5 classic Disney tales and you may even come face-to-face with Tinker Bell. We are here to give you peace of mind and take care of the needs of you and your baby. 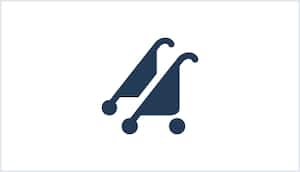 The Baby Care Centre on Main Street U.S.A, offers a comfortable nursing room, diaper changing area, highchairs on request, as well as refrigerator, microwave facilities and hot water. We understand that parents may need to go to restroom when they are with their children. To avoid any inconvenience or embarrassment, we provide 6 Companion Restrooms throughout the Park for parents and their children to use together. We want you to enjoy the attractions as a family which is why you’ll find Stroller Parking conveniently located all over the Park. At the entrance most major attractions, there’s a designated spot to safely leave your stroller in the hands of our Cast Members. 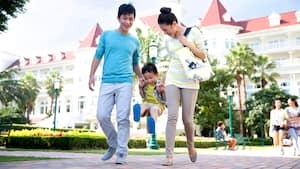 Once you’ve enjoyed the attraction together, simply return your parking ticket to retrieve your stroller and continue your memorable day together. Make your enchanted memories last forever with souvenirs and limited-edition seasonal merchandise-perfect for sharing with your little ones. 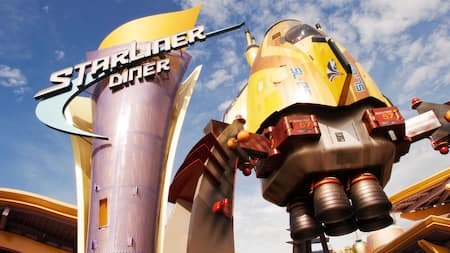 The Intergalactic Spaceport in Tomorrowland is perfect rest-stop for families on their journey across the stars. The outdoor seating area offers you a spot to park your stroller and enjoy a relaxing bite to eat with your little ones. Enjoy a 2 days/1 night relaxing vacation with your little ones. Treat the family to a luxurious room in one of the three themed hotels. Leave the worries of the world behind, and make your children’s Disney dream last all day and all night long. 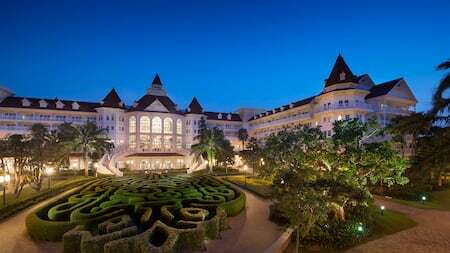 After being swept off your feet by the nostalgic charm of the hotel and first-class service, you and your family can lose yourself Mickey’s enchanting garden maze. Step through the pages of a giant storybook and find yourself in a magical place to play. Listen to the great Disney stories and take part in unique activities such animal towel art, as well as painting and handicraft workshops where your children's imagination is free to run wild. Enjoy great savings with our ticket offers. Book in advance and enjoy up to 15% off. Join Magic Access now and enjoy exclusive benefits! Be our Guest throughout the year! Join Magic Access now to enjoy exclusive benefits and limited time offer. 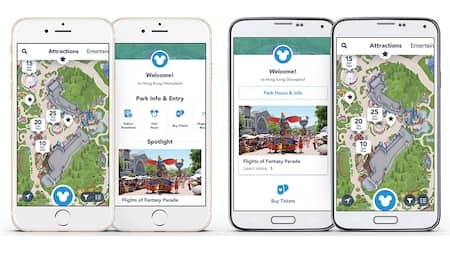 Download the official mobile app for Hong Kong Disneyland! See wait times for attractions, browse maps, see schedules and much more!